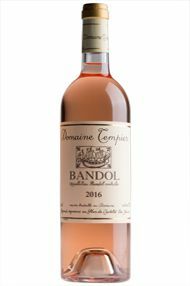 If a naturally benevolent backdrop and a sense of history are anything to go by, as indeed they should be, then Domaine Tempier is well positioned as the leading Estate in the famous Mediterranean wine appellation of Bandol. 38 hectares of vines bask in a privileged amphitheatre, their maritime environment contributing to the unique climate first recognised by the Phoenicians as ideal for the cultivation of the grape. The pater familias figure of Lucien Peyraud has guided the property to its current pre-eminence, at the same time forging the precise laws of the AOC, which afford the wines so much personality and potential to age. The leitmotif running through it all is the modish Mourvèdre grape, famously temperamental and inclined to perform only when its feet can paddle in the Mediterranean and its head can turn, in full heliotropic glory, to the sun. The steep terraces, thankfully not claimed by the ever-expanding urbanisation, are ideal for these long-lived, rich and savoury wines, now in the capable hands of the régisseur Daniel Ravier. From the spectacular rosé, through to the four celebrated red cuvées, these are outstanding vins de garde. When I first visited I was a little early greeted by the charming widow, Madame Peyraud. She offered me a glass of rosé as we waited for Daniel and described with animation some of her favourite recipes, herself draining a rather large glass of Cuvée Classique in the process. 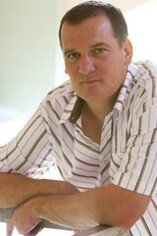 It was only afterwards, to my astonishment, that I discovered that she was 95 years old.